Description: How to configure a SecureAuth Realm that has a Group Restriction enabled to use the Nested group feature. 2. Make sure Include Nested groups is checked and leave “allowed user’s groups” field blank. 3. 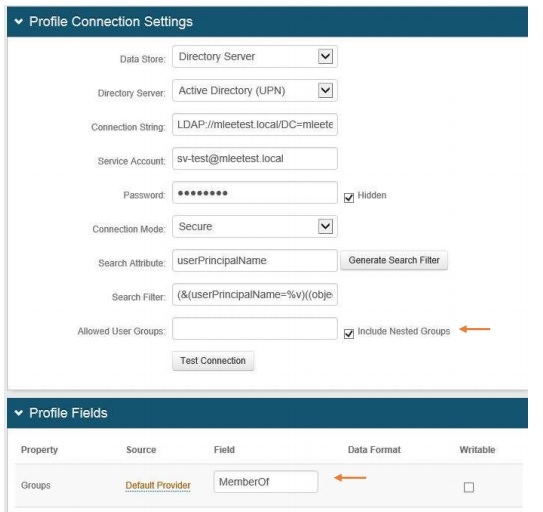 Under the Profile Fields section, make sure the “MemberOf” is in the Field column. is this possible for Web Service (Multi Datastore ) ? ?